Number of convicts in Russia down considerably over four years | Russian Legal Information Agency (RAPSI). MOSCOW, April 5 - RAPSI. The number of convicts in Russian prisons has decreased considerably over the past few years, a Justice Ministry official said on Friday. First Deputy Justice Minister Alexander Smirnov said amendments to legislation have helped decrease the number of convicts from over 800,000 in 2009-2010 to 700,000 in 2012. The trend continued over the first three months of 2013. "There are 697,800 convicts in Russia now," the deputy minister said. He added that seven modern pretrial detention prisons, six new pretrial blocks at existing prisons, and several medical blocks with laboratories and HIV and hepatitis diagnostic services have been built. "The number of people sentenced for economic crimes has decreased by nearly fifty percent to 1,200 people or 0.2% of the total number of convicts as of Jan. 1, 2013," Smirnov said. The figure was around 2,000 a year ago. 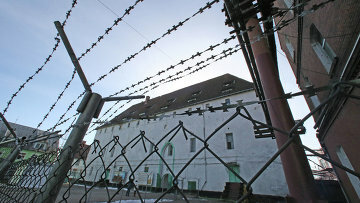 The deputy minister said 70% of prisons met the national sanitary norm in 2012, which is four square meters per person. Smirnov also said the percentage of suspects, defendants and convicts with health conditions had decreased by over 5% in the past few years. The number of tuberculosis patients among convicts fell by 10% and the number of deaths by 3%. 14:35 05/04/2013 The number of convicts in Russian prisons has decreased considerably over the past few years, a Justice Ministry official said on Friday.